An employer forced to Downsize? Research indicates employers receive hundreds of resumes for each job posted and, as a result, hiring managers and recruiters divulge they only spend an average of 15 to 20 seconds scanning each resume. Does your resume have what it takes to grab their attention? Blum & Associates, LLC can help you. We provide professional services that highlight your unique skills and grab the employer’s attention. Don Blum, Ph.D., CPT was a Human Resources Manager for over 17 years for a Fortune 10, Fortune 100, and Fortune 500 Company. Don is a Certified Recruiter, Certified Assessor, and Certified Assessment Center Assessor. He has reviewed thousands of resumes, interviewed hundreds of candidates, and hired an incalculable number of employees. He knows what it takes to get hired! Be Prepared! No one’s job is secure in this economy. When was the last time you updated your resume? Was it effective? How do you know? How many interviews did you get? What are you doing to network? Waiting until you lose your job is not the time to start your networking efforts. Networking is an ongoing process and we can show you ways to maintain contacts that will be there when you need them. How do you address the specifics of each job posting? Do you address your unique skills and experience in a Cover Letter? Do you customize your cover letter for each job posting? If you are called for an interview, are you prepared? Are you familiar with the different types of interviews? Are you prepared with responses for the tough behavioral interview? Do you have a 5-Point Schema and Elevator Speech? Do you write Thank You notes? Do you know what type is most effective? Do you know how and when to address the questions about salary? Are you prepared to negotiate a low salary offer? Are you equipped to negotiate a better benefits package? complete access to Don in person, via phone, or email. Your relationship will be a partnership striving to meet your personal career goals. If you are an employer forced to downsize, we can provide outplacement services for your displaced workers. We teach focused classes, or hands-on workshops, on any or all of the topics listed below. We offer Group Rates. The following services are packaged below for you convenience. We are open to customizing any of these services into a package that meets your needs. Your current resume is modified to yield the best results. that can be used for any job. A cover letter will be created to accompany your resume that is customized for a specific job. Your resume will be crafted from scratch, based on our job questionnaire. and one custom cover letter will be designed to address a specific posted job. Development of; Resume, Custom Cover Letter, 5-Point Schema and Elevator Speech. 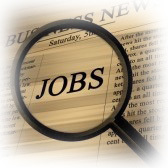 Tips on: Job Search Techniques, On-line Searches, Thank You notes. Your resume will be crafted from scratch and one custom cover letter written to focus on a specific job requirements. Development of 5-Point Schema and Elevator Speech. You will also receive tips on the following: Job Search Techniques, On-line Searches, and Thank You notes. Letter, 5-Point Schema, and Elevator Speech. Discussion on Personal Branding, and Salary & Benefit Negotiations. Tips on: Job Search Techniques, On-line Searches, Thank You notes, and Networking. Resume created and custom cover letter crafted for a specific posted job. 5-Point Schema and Elevator Speech developed. Consultation (approx. 3 hrs.) to develop resume and one custom cover letter. One 2 hr. practice interview role play (in-person or by phone), including salary and benefit negotiation consultation. Price in these areas is based on length of the service, number of employees, etc. For more information, call Blum & Associate, LLC at 248-835-9369.
with no HR department, a small one, or a relatively inexperienced one? that needs a specific skill-set for a project? that needs an objective external expert to handle some tough duties? or large company with reduced HR resources that can use some temporary project-based help? If you answered “YES” to any of these questions, then Blum & Associates is the Perfect Solution! If your business is large enough to have human resource challenges but unable to justify adding additional staff to manage those challenges, or, you’re a growing business but do not require a full-time HR Department, we can provide you with the professional assistance necessary when it comes to resolving your human resource or organizational development issues. In addition, we can compliment your existing HR Staff in order to complete projects. Blum & Associates offers comprehensive and cost effective HR and OD consulting, specifically designed to meet the needs of both small and medium sized businesses. We provide high value, exceptional quality, programs and services, aligned with your organization’s culture, values, strategies, and objectives. 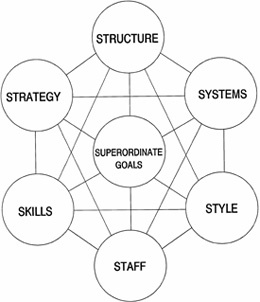 Strategic planning is an organization’s process of defining its strategy, or direction, and making decisions on allocating its resources (capital and people) to pursue this strategy. Blum & Associates will work with you to identify goals, define objectives, and determine measurables. Various organizational analysis tools can be used in strategic planning. Blum & Associates uses business diagnostics and surveys, such as SWOT Analysis (Strengths, Weaknesses, Opportunities, and Threats) and 7-S Organizational Analysis (Structure, Systems, Style, Staff, Skills, Strategy, Superordinate Goals). Blum & Associates, LLC, can help your organization develop a strategic plan, to include Vision and Mission Statements, Objectives, Goals, Action/Implementation Plan, and metrics. They will help you define a new culture, develop processes, and a communication strategy to disseminate information to employees, obtain their support, and help them embrace these changes. In addition to his academic knowledge in the field of OD/Change Management, Don Blum also earned a Certificate for the successful completion of a One-Year Advanced Study Program in Organizational Development. Don is a Certified Master of Managed Change, and has received the prestigious Certified Performance Technologist (CPT) designation; one of only 60 in Michigan. Don has successfully led numerous large-scale organizational change initiatives, including two global initiatives; one consisting of over 30,000 employees and the other over 25,000 employees. Don has also published numerous articles in the field of OD and Change Management. The purpose of Organization Development (OD) is to increase an organization's effectiveness through planned interventions (transforming, rebuilding, revitalizing, restructuring, reengineering) related to the organization's processes, resulting in improvements in productivity, quality, cost, time, customer service, return on investment, and/or employee satisfaction. Change Management is a structured approach to transitioning individuals, teams, and organizations from a current state to a transition state to the desired future state. The current definition of change management includes both organizational change management processes and individual change management models, which together are used to manage the people side of change. In today’s economy, change can be expected! You can either let it happen and hope for the best, or, be proactive and control it. Which would you rather do? The Harvard Business Review research shows that only 15% of the workforce embraces a change initiative immediately; 60% are uncertain, and 25% are heavily resistant to change. Does this sound like your employees? Change can be expected, but the problem is, most companies don’t handle change well, and yet only about 40% of organizations seek professional help with implementing change. Will your business need to restructure to change its focus on efficiency and managing costs? How will the change affect your employees? Do you have their commitment? Are your managers prepared to address employee resistance? Do you have a communication strategy? Blum & Associates, LLC, will work with your internal OD, HR, or other designated “change agents” to help your organization Identify the Change (analyze the current state, define the desired state, assess the delta state), Prepare to Change (identify and assess the key stakeholders, determine the degree of risk and the cost of the change), Plan the Change (design the change systems), Communicate the Change, Implement the Change, and Monitor the Change (watch, measure and adapt throughout the process). Our goal is to teach and mentor internal change agents and transfer the knowledge, skills, and abilities to them so they are better equipped to handle the next change with little or no help from an outside consultant. How do you motivate your employees? Are your intrinsic and extrinsic reward systems sufficient? Are they effective? Do they motivate the right behaviors? An incentive system should create alignment between desired performance and the rewards that people value. Let Blum & Associates help you build a Reward and Recognition process, tied to the Performance Management Process. Diversity is not just about race or gender. Diversity is characterized by the many different facets of our individual identities; e.g., our race, ethnicity, nationality, age, gender, sexuality, religion, physical abilities, learning abilities, language, opinions, and culture. Workforce diversity is critical for any organization that seeks to improve and maintain a competitive advantage. An inclusive workforce offers greater productivity and a competitive advantage. Most importantly, diverse perspectives increase creativity, as they offer different viewpoints, ideas, and solutions. Don has hands-on experience with diversity programs. He was a member of the corporate global Diversity Council, managed the development of a Diversity/Sexual Harassment website and video, and managed a diversity program at two manufacturing plants, each having over 2,000 salaried and union hourly employees..
Our Nation is a melting pot of people from diverse backgrounds, cultures, customs and beliefs. Blum & Associates, LLC, can help you set and achieve diversity goals, while simultaneously strengthening your organization. A title doesn’t make a leader, and not all “managers” are good leaders. Anyone, at any level in the organization, can be a leader. Does your organization make the potential mistake of promoting employees to supervisory positions based on their personal success within a particular function, even though they don’t demonstrate strong leadership skills? In today’s competitive and challenging environment, any department that doesn’t add value to the “bottom-line” is at risk! Transactional departments are in danger of being downsized or outsourced. The Human Resources organization needs to develop “business acumen” and contribute to the organization’s bottom-line objectives. HR has changed, but needs to change even more. Management is looking to HR to be a trusted business partner and provide value-added services. HR’s goals and objectives must be aligned with the organization’s strategic objectives. Blum & Associates can help you align your goals and identify metrics to evaluate your contributions. Most managers spend approximately 75% of their time in group activity, yet research indicates that most supervisors and managers don’t understand group dynamics. A group of employees is Not a team! What are the essential elements that differentiate the functioning of a team vs. a group? Do your teams have a specific purpose and lifetime? What are High Performance Teams? Teams go through fairly predictable development stages and are most productive during the last quarter of their lifetime. First, they deal with Membership issues (Do I belong?). Second, they face Control issues (Who’s in charge? What style of leadership prevails?) Third, they are ready to move to Goal formation issues (What do we want to accomplish? How will we know if we are successful?). If a new member is added, the team composition changes, and the process starts over. As the group develops, the cycle is repeated over and over, each time at a “deeper” level. 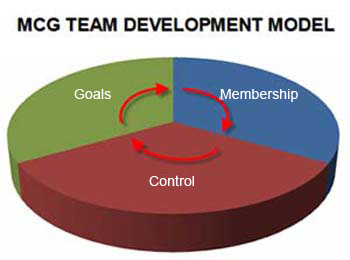 High Performance Teams are self-directed, empowered and motivated. High Performance Teams usually have a coach. The coach teaches team building behavior and ensures the team receives guidance and training as needed. There can be power and synergy in teams, if managed properly. Through effective coaching, Blum & Associates will facilitate the team development process, resulting in accelerated building of High Performance Teams. Human Capital is the value of employee competencies (knowledge, skills, abilities, experience) as an asset of the organization. Blum’s model depicts the elements of a Human Capital Development System. We can also integrate a Learning Management System with an HCDS to manage your training registration, employee records, and deliver courses over the internet. It can even be integrated with your Performance Management System. Let Blum & Associates help you gain a competitive advantage by creating a Human Capital Development System. Improve recruiting and selection of job candidates. Develop critical skills and abilities that lead to increased effectiveness and productivity. Provide the foundation for a Performance Management System. Provide valuable data for succession planning and workforce planning. Provide a consistent and uniform structure for Human Resource applications. Build and communicate alignment with organizational goals and objectives. All companies have some employees that perform more effectively than others. What is it that distinguishes “superior” from “average” performance? 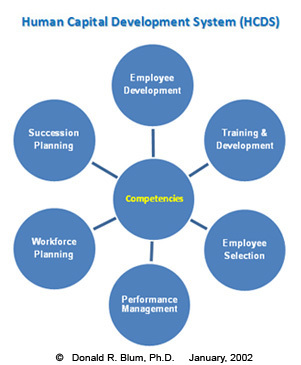 Superior performers possess different competencies (Knowledge, Skills, Abilities, Attributes). YES, you CAN predict performance! Have you studied your top performers and identified their key competencies? Do you know the critical competencies and skills for a particular job, or family of jobs? Have you created Skill Inventories and identified skill gaps? Do you know how frequently those critical skills are performed? How hard is it to find job candidates with those skills/competencies? Does the job candidate need those skills/competencies at time of hire? Are you willing to train them? If not, what is the best training source? Have you, or will you have to downsize and become “lean and mean?” How are you going to maintain the same or higher productivity, with fewer people? Those that remain must possess the critical competencies! Don Blum has over 15 years experience working with competency modeling. He has led two corporate task forces, and created a global Human Capital Development System,built on competencies. He designed, developed, piloted,and launched a Global Human Capital Development System, within six (6) months, servicing over 25,000 salaried and hourly employees in Mexico and Europe; meeting established timing and budget guidelines. Blum & Associates recently completed a project consisting of identification of critical competencies for key jobs across 11 business sectors, for a large governmental organization. In this tough economy, the weak companies won’t remain in business long enough to see the economy turn around. You need every advantage you can get, to beat your competition and emerge as an even stronger company. Blum & Associates, LLC, will work with you to achieve this advantage, by creating and implementing a Competency Management System. Understand the key KSA’s required to be successful? Attract and recruit qualified candidates? Train and Develop your employees? Measure and Reward employee performance? 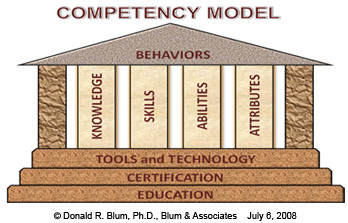 Have you identified your core competencies (knowledge, skills, abilities, attributes)? If not, Blum & Associates will help you identify your core competencies and develop a Talent Management Process that will integrate with your Leadership Development and Succession Planning processes. Have you identified your company’s future leaders? Do you have adequate replacement strength? Will they be ready for those key positions when needed? Blum & Associates, LLC, will help you identify your core competencies and develop a Succession Planning process integrated with your Talent Management and Leadership Development processes. Do you know what skills and competencies will be required in the next 5 to 10 years? Do you have a plan to acquire those skills and competencies? Do you know the affect attrition will have on your corporate competencies? Do you need to replace all the lost skills? Let Blum & Associates help you establish a Workforce Planning process. Performance Management is a systematic approach to developing a culture where employees are empowered to perform to the best of their ability. Individual performance is tracked against the targeted objectives of the organization. Strengths and opportunities for improvement are identified, and development plans are put in place, as required. Performance Management focuses on results! It is more than giving an annual performance review. An annual performance review may be part of the Performance Management Process; however, good Performance Management is an on-going process, not a once-a-year event. A successful Performance Management Process has clear communicated metrics by which the employee’s performance is evaluated, and both formal and informal rewards are used to recognize the individual or team meeting/exceeding organizational goals. Blum & Associates can help you develop a successful Performance Management Process, including the development of S.M.A.R.T (Specific, Measurable, Attainable, Realistic and Timely) goals. According to the Hay Group, an international consulting and research firm, between 25 and 40 percent of Fortune 500 companies hire executive coaches for their employees. Blum & Associates, LLC, can help HR professionals prove their contribution to the bottom line. We will help you work on strategic planning, goal setting, return on investment (ROI), specific initiatives, corporate communications, act as a sounding board, and give feedback. We can also help with: team building, addressing performance gaps, employee relations issues, and major organizational changes, such as mergers, layoffs, management changes, etc. Call Blum & Associates, LLC, for one-on-one confidential coaching and mentoring. It’s not uncommon for small or emerging companies not to have written HR policies, procedures, or job descriptions. However, it’s also not uncommon for small companies to get hit with discrimination complaints, just like large companies. Whether you’re right or wrong, the bad publicity is damaging and far-reaching. Blum & Associates, LLC, will write individual Policies and Procedures, or, help you create an Employee Handbook including Policies and Procedures customized to your specific needs. The standardization and dissemination of these policies will ensure equal treatment of all groups of employees. One size does not fit all, and therefore, we do not use a generic software package. Blum & Associates believes that your business is unique, so we will create custom policies and procedures aligned with your culture, values, strategies, and goals. Customized company Job Descriptions can help you defend your actions against lawsuits and discrimination complaints. In addition, they aid in recruiting, job selection, training, compensation, and performance evaluation. Blum & Associates recently completed a consulting project creating customized job descriptions, across 11 business sectors, for a government agency. Blum & Associates will conduct a task analysis on key jobs and write customized job descriptions/job profiles for your organization. Employee Relations involves maintaining employer-employee relationships that contribute to satisfactory productivity, motivation, and morale. In essence, Employee Relations deals with preventing and resolving problems involving individuals that arise out of, or affect, work situations. Don Blum has personally conducted over 500 employee relations investigations at both unionized plants and corporate level Fortune 10, 100 and 500 organizations. He has shaped creative resolutions, developed Conflict Resolution Programs, and administered discipline as appropriate. He ensures accurate and timely documentation of case facts, and has defended his actions successfully in court. Call Blum & Associates, LLC, to handle your employee relations problems, or to mediate those tough cases. Training isn’t always the answer! Blum & Associates, LLC, believes that taking a systemic view is vital, because organizations are very complex systems that affect the performance of the individuals that work within them. After examining the “inputs” (people, performance, materials, requirements, and equipment), Don will partner with you, using an Instructional Systems Design (ISD) Process to Assess the Need, Analyze the Cause, Recommend the Solution (training, job-aid, non-training), Design the Solution, Develop the Solution, Implement the Solution, and Evaluate the Solution, using ROI when possible. Don led eight (8) simultaneous new product launch training and skill reengineering initiatives for a union plant of 2,300 employees. He has developed plant launch training plans for Thailand and India. He developed vendor training specifications leading to the establishment of a launch training budget, vendor accountability, and skilled trades/operator skill acquisition. He’s renegotiated vendor pricing agreements saving the plant over $50,000 per year on an ongoing basis. Blum & Associates can help you achieve successful product launches. Blum & Associates provides professional services that can help you with your temporary staffing and recruiting needs. Don was a Human Resources Manager for over 17 years for a Fortune 10, Fortune 100, and Fortune 500 Company. Don is a Certified Recruiter, Certified Assessor, and Certified Assessment Center Assessor. He has reviewed thousands of resumes, interviewed hundreds of candidates, and hired an incalculable number of employees. He knows what it takes to identify qualified job candidates. Blum & Associates are knowledgeable in recruiting practices, employment laws, executive orders and regulations, and have led multiple job-fair recruiting efforts. Call Blum & Associates, LLC, for help with your recruiting and staffing needs. Do you need a program to successfully assimilate your new employees into the workplace? An effective on-boarding process will make employees feel welcome, accelerate learning, reduce the fear of the unknown, reduce performance problems, improve employee retention, disseminate company expectations, and educate new employees on the company’s culture and values. Don has created a New Hire Orientation Program for a machining plant of over 2,000 employees, and participated in teaching over 200 newly hired hourly unionized employees. He also created and participated in delivering a New Hire Orientation program to over 200 contract salaried employees at a seating plant of over 2,300 employees. In addition he co-developed and delivered a New Hire Orientation Program for an axle plant of over 3,500 employees. Blum & Associates, LLC, can develop your customized New Hire Orientation Program. Do you need temporary help, or advice, in the area of Labor Relations? Don Blum has worked in a union-based environment the majority of his career, and in Labor Relations for over six (6) years. Don has developed a relationship of mutual respect with union membership and leadership at all levels. Don has been a member of both corporate (national) and plant (local) negotiations. He has worked at staff, as well as four (4) union plants. As a Senior Labor Rep., Don has interpreted contracts, hired, disciplined (attendance, harassment, assault, threat, sabotage, under the influence, etc. ), and fired (successfully defending his actions in court), hundreds of employees. He has received company awards for reducing controllable absenteeism and a 38% AWOL reduction. He created a Natural Work Team structure, compensation plan and classification reduction proposal for local Competitive Operating Agreement (COA) negotiations. As a Senior Labor Relations Representative, in one year he personally resolved 205 grievances at 2nd stage, by providing equitable solutions resulting in cost avoidance. He was Co-chair of a plant Joint Apprenticeship Program with 53 apprentices, and received two Corporate Recognition Awards for Program Innovation, Support and Excellence. Let Blum & Associates, LLC, help you resolve your Labor Relations workload. Don Blum has performed compensation analysis, ensuring compliance with company policies and government regulations; directed salary and market surveys to ensure internal/external salary equity; developed and directed the Pay for Performance plan for 1,000 professional and 300 management employees. In addition, he has performed job analysis and job evaluations, conducted position audits, approved employment offers, and analyzed actions for impact on females and minorities. If your organization needs help in any of these areas, call Blum & Associates, LLC. Don Blum worked with Employee Involvement (EI) and Participative Management (PM) programs in many of his assignments. While working for a tier-one supplier, he was the Leader and Sponsor of company-wide Employee Involvement for thirteen (13) domestic Plants. While working for an OEM, he provided consultation and support for two manufacturing divisions for a combined total of 94,000 UAW and 20,000 salaried employees. Don collaborated with national-level joint UAW-Company committees on design and delivery of Employee Involvement, education and training programs and processes at 30 locations throughout North America. Call Blum & Associates, LLC, for help with your EI and PM programs.